Vice Foreign Minister Zhang Ming attended and addressed at invitation the book launch of From China’s Southwest Borderland to African Continent: A Practice and Thinking on the Cross-cultural and Regional Studies and other new books as well as the opening ceremony of the seminar on the Development Strategy for the Originality of African Studies in China. 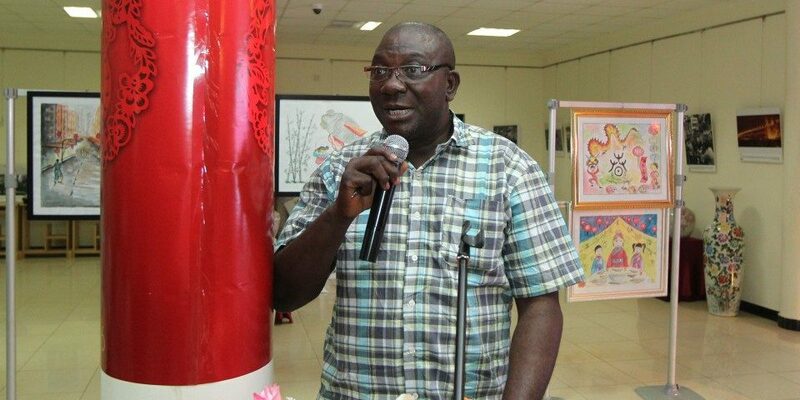 The event was co-organized by World Affairs Press, Chinese-African People’s Friendship Association and the Institute of African Studies at Zhejiang Normal University (IASZNU). About 100 representatives from the Ministry of Education, Chinese Academy of Social Science, China Institute of International Studies and other research institutes as well as media circle were present. 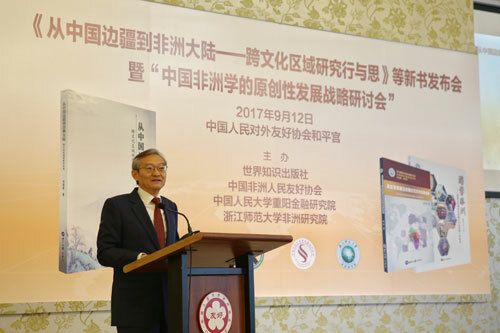 Vice Foreign Minister Zhang Ming congratulated on the publication of new books, and expressed appreciation and gratitude for the long-term contributions to the cause of the research on Africa made by IASZNU, relevant research institutes in China, experts and scholars. 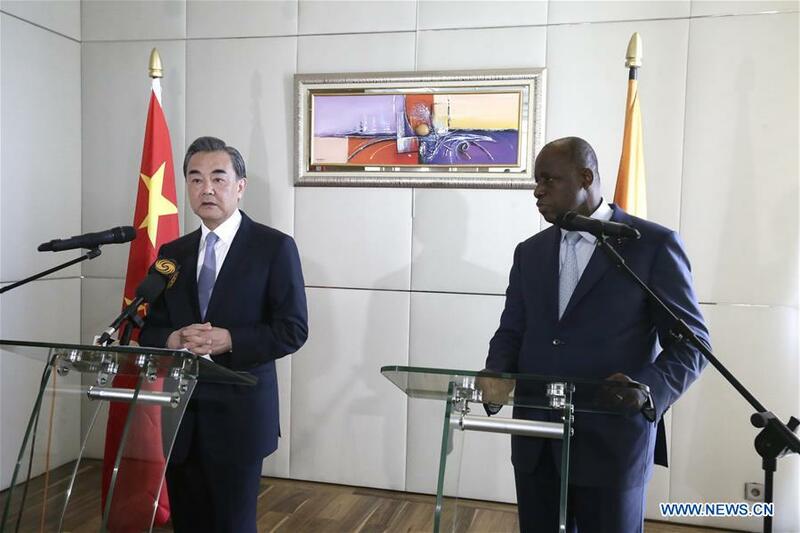 Vice Foreign Minister Zhang Ming expressed that under the guidance of General Secretary Xi Jinping’s diplomatic thinking, China’s diplomatic work toward Africa has achieved important outcomes since the 18th National Congress of the Communist Party of China. 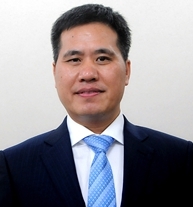 Under the new circumstance, China’s research on Africa should mainly be strengthened in four aspects: first is to attach more importance to the research on Africa, enhance sense of responsibility and sense of mission, and invest in more resources of good quality, so as to constantly enhance the level of China’s research on Africa. Second is to well grasp the right political direction, adhere to China’s policy toward Africa featuring sincerity, practical results, affinity and good faith and the correct value of friendship, and enhance mutual learning with experts from African think tanks. Third is to stick to China’s own road, do more original thinking and research with theoretical and in-depth meaning, and practical and operable significance as well, strive to mark “Chinese Brand” on the international research on Africa, hold the discourse right of China-Africa relations in China’s own hands, and make the research on Africa more active, in-depth and solid. Fourth is to well serve diplomatic works toward Africa, enhance exchanges in state governance and administration with African countries, and make greater contributions to the in-depth development of China-Africa relations.